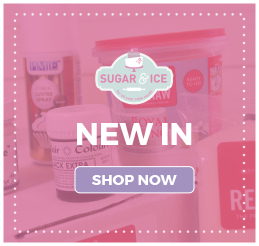 At Sugar & Ice we believe cake decoration is an art which can be enjoyed by all, whether you've been decorating since the 60s or have only just discovered the craft, there's always an opportunity to learn something new. A cake decorating class is a great opportunity to advance your skills whilst meeting like-minded individuals with a similar passion and chance to exchange ideas and techniques. Each and every Sugar & Ice course is taught by one of our team members, all of whom you will see within both of our stores, they all love to share their knowledge to help you to make wonderful creations, and it's always a great pleasure to see final pieces our customers have made. Hosting a maximum of six people within our Leicester (Cyril St) store and eight within our Coalville (Hotel St) location means Sugar & Ice classes are perfect for every level of experience. Our trainers will tailor the class to the experience level and learning speeds of the attendees. Thanks to our team members hosting all of our classes, they're never more than a phone call away should you require any additional advice following your tutorial. 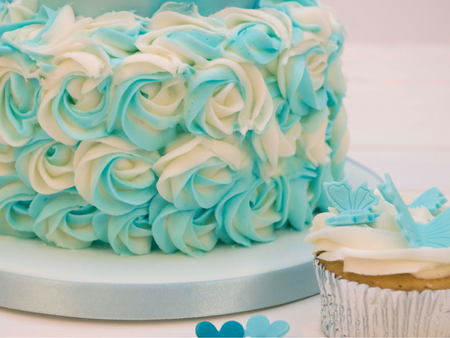 We offer a wide range of courses from basic cake decorating to delicate sugar flower tuition but if you can't find the course you're looking for or would simply prefer more privacy, you can book in for private tuition where our trainers will be happy to teach you anything you need to know on your chosen topic. On the day discounts for all course attendees! *Equipment supplied is for course use only – customers are not entitled to take the equipment home with them upon completion.